Remind yourself to get some extra popcorn ready on Oct. 7 because “The Walking Dead” Season 9 premiere will run a bit longer than usual. 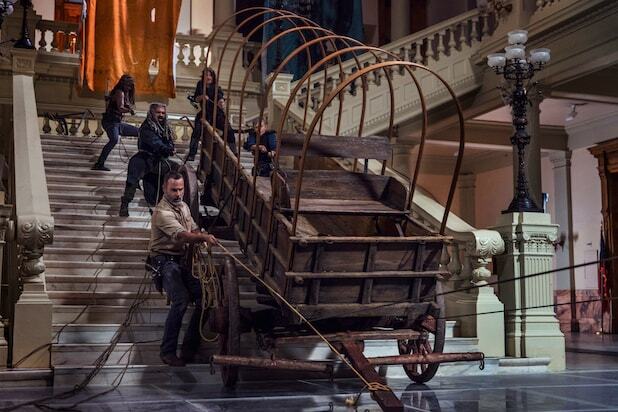 The episode will run from 9 p.m. until 10:26 p.m., AMC confirmed to TheWrap Friday. This goes nearly 30 minutes beyond the zombie drama’s usual runtime. “Talking Dead” will start afterward. The Season 9 premiere is directed by Greg Nicotero, but a title has not been announced yet. The episode will see a year-and-a-half time jump from the Season 8 finale, which concluded the All Out War storyline. 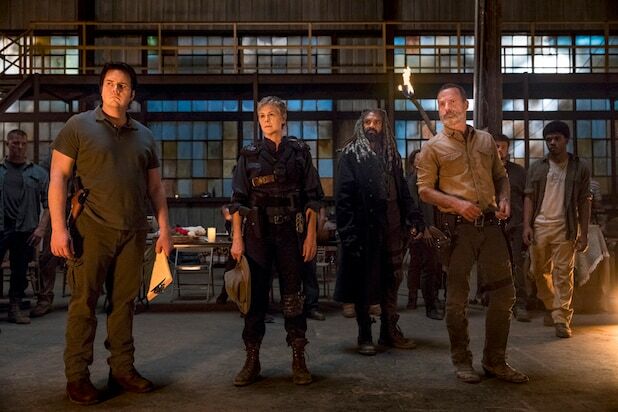 As we saw in the Season 9 trailer, the beginning of the season will see relative peace, with former Alexandrians, former Saviors, Hilltop and Kingdom residents living among one another. Maggie (finally) has had her baby, Rick has a new beard and shorter hair, and Negan is Rick’s prisoner. But don’t expect that happily-ever-after feeling to last too long, as the trailer also revealed some infighting. We also know that the comic villains the Whisperers will show up at some point next season, as several key characters have already been cast. Samantha Morton will play leader Alpha, Cassady McClincy will play her daughter Lydia, and Ryan Hurst will play Beta. “The Walking Dead” Season 9 premieres on Sunday, Oct. 7, at 9 p.m. on AMC. Check out images from the Season 9 premiere in the gallery below.